The Joy of Fashion: My Choice of Outfit of the week - Bold colors! 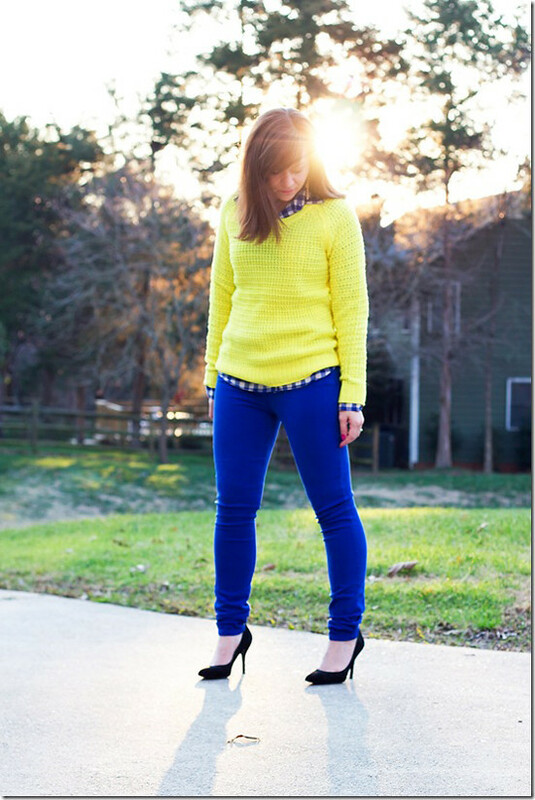 This week's Outfit of the Week goes to Michelle from PinQue blog! I really love the bold colors Michelle put together in this outfit. I also love the hints of pattern from the button down shirt. Doesn't she look amazing?! Good job Michelle!